There’s lots of crafty workshops happening at our Diss shop this year. Take a look below to see what’s happening and when. 10 – 12pm Ladybird Felt Pincushion. 1.30 – 3.30pm Gift Boxes – with Maxine. 10 – 12pm Needle Felting/Landscape. 10 – 12pm Working with Plastic Canvas. 1.30 – 3.30pm Stamping with Ellie. 10 – 12pm Paper Straw Vase. 10 – 12pm Plastic Canvas Box. 10 – 12pm Ribbon Weaving. 1.30 – 3.30pm Heart Book Folding for Valentines with Maxine. 10 – 12pm Foundation Patchwork. 10 – 12pm Scrapbooking with Jackie. 10 – 12pm Simple Stamping Demonstration Only. 10 – 12pm Crochet Cupcake. 10 – 12pm Vellum Flowers in a Frame. 10 – 12pm Dorset Buttons. 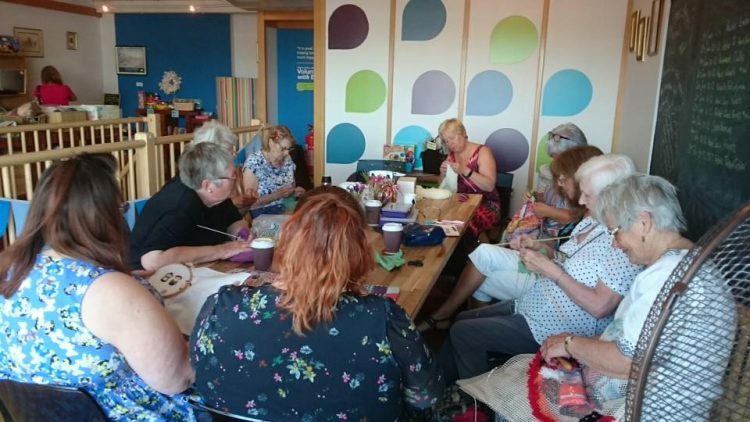 10 – 12pm Embroidery Dorset Feather Stitchery. 10 – 12pm Tumbling Blocks Cot Quilt – Part One*. 1.30 – 3.30pm Ribbon Flower Embroidery for Mothers Day With Maxine. 10 – 12pm Tamari Balls. 10 – 12pm Tumbling Blocks Cot Quilt – Part Two*. 10 – 12pm Tumbling Blocks Cot Quilt – Part Three*. *Additional cost to cover materials. 1.30 – 3.30pm Quilling for Easter with Maxine. 1.30 – 3.3pm Stamping with Ellie. 1.30 – 3.30pm Nail Varnish Flowers and printing with Maxine. 1.30 – 3.30pm Mosaics with CDs with Maxine. 1.30 – 3.30pm Paracord Key Ring with Maxine. 1.30 – 3.30pm Macramé with Maxine. 1.30 – 3.30pm Book Folding Animals with Maxine. 1.30 – 3.30pm Recycled paper wreath with Maxine. 1.30 – 3.30pm Quill Snowflake Tree Decoration with Maxine. 1.30 – 3.30pm Bead Christmas Star Decorations with Maxine. All workshops are held at our Diss Shop at D Victoria Centre, Victoria Roadd, Diss, IP22 4GA. To book a place on one of the workshops please call the shop on 01379 658655 as booking is essential. We regret no wheelchair access. Hot drinks are available to purchase from our lovely neighbours at Little Bites.